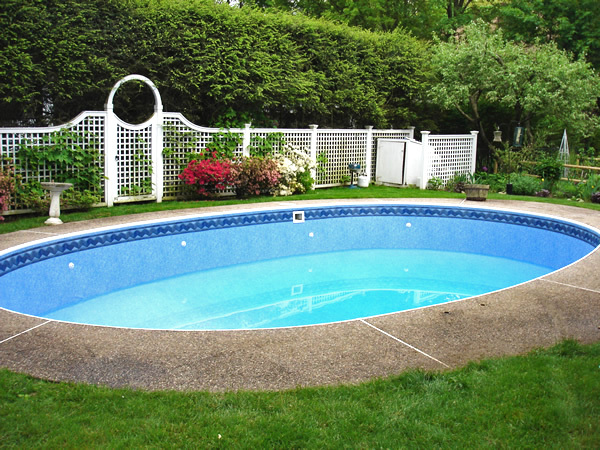 We removed the old pool liner which was discolored and badly wrinkled. Then we inspected the pool interior and made necessary repairs. Finally we installed the new vinyl pool liner. Beautiful upgrade!